August 11 2017 – Impact Day 2017 celebrates three years of partnership with The Home for Little Wanderers. 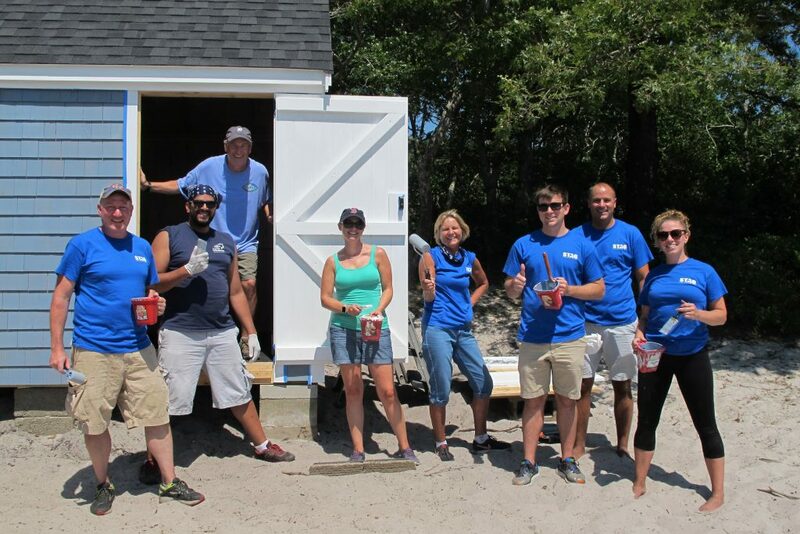 Each year STAG employees put down their pens and pick up tools and paint brushes, to serve the community in which they live and work. 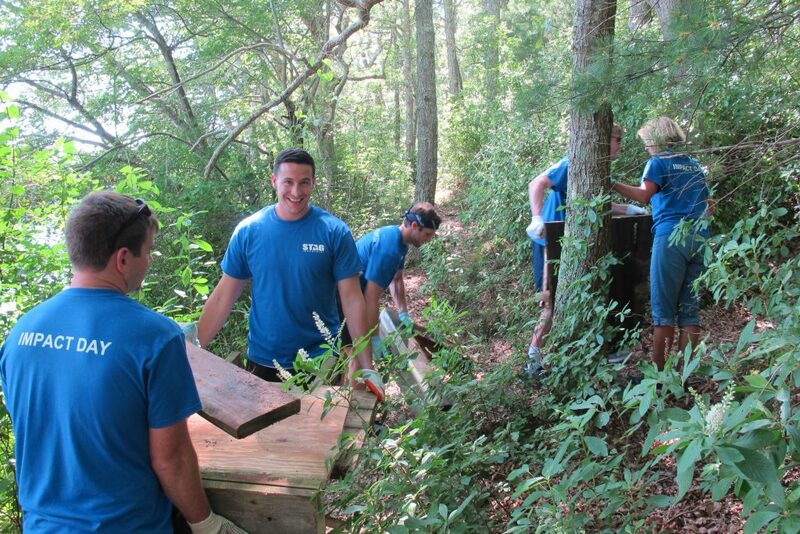 This partnership has become our annual company-wide volunteer day. 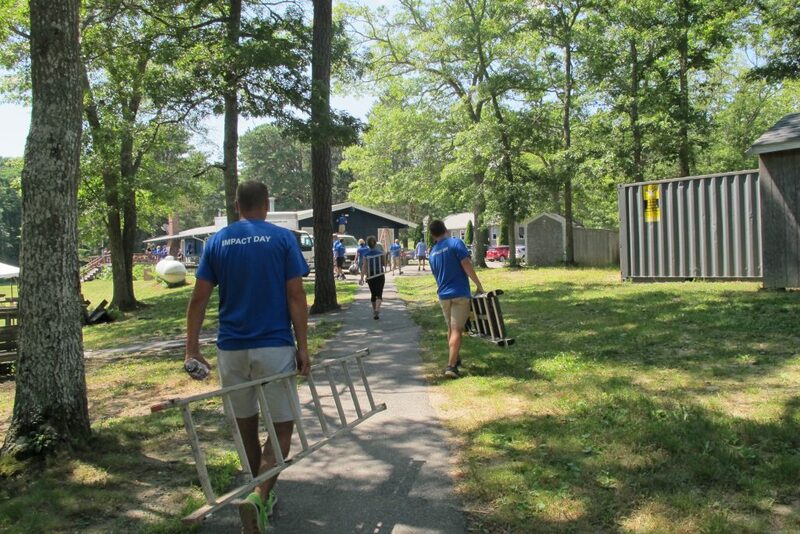 It is a fulfilling day that serves both giving back to our community and team building. 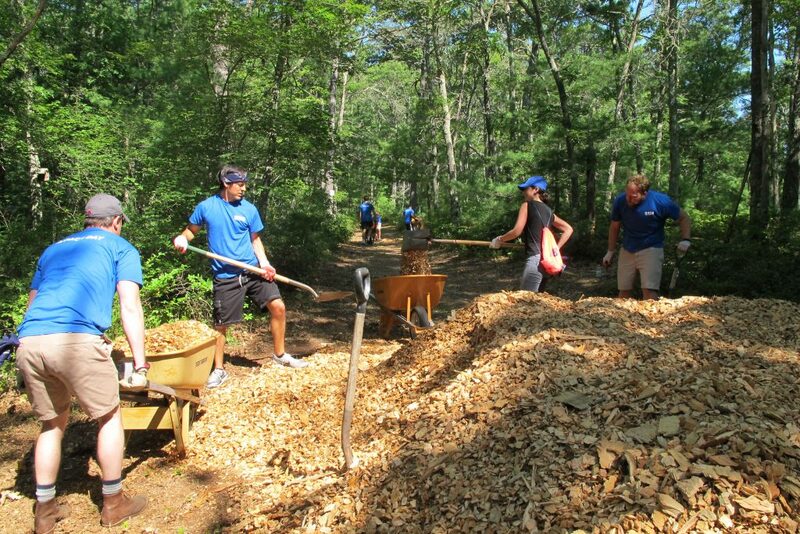 STAG visited The Home’s South-East Campus where we demolished and hauled away a dock, built a shed, painted and decorated three game room spaces for the kids, painted inside and outside of the dining hall and spread 36 yards of wood chips on the ropes course. The day ended with lunch prepared by kids from The Home’s Culinary Program and game interaction between STAG’s staff and the kids in The Home’s program. 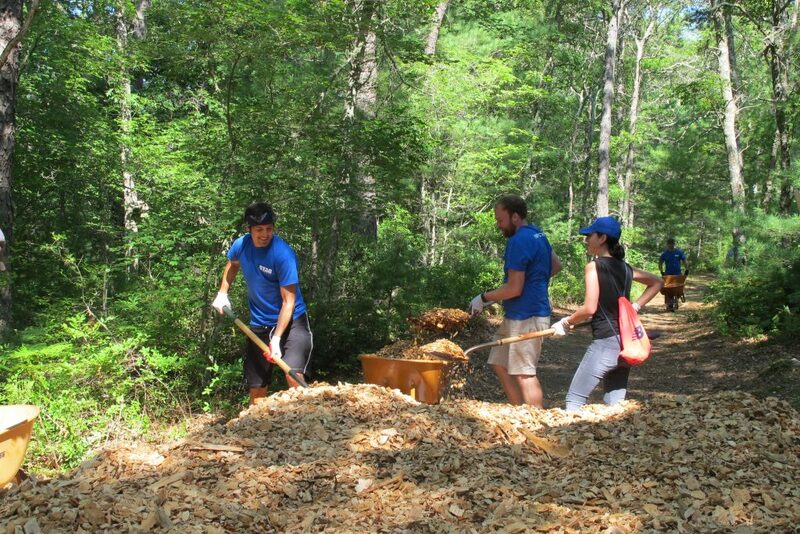 It was a day of hard work but also fulfilling to those who participated. 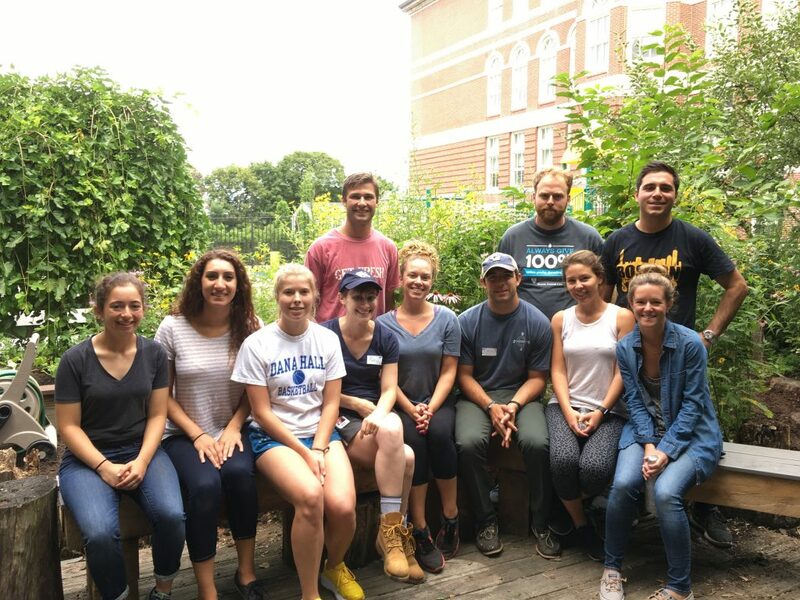 July 2017 – Volunteers from STAG worked with City Sprouts at the Winship School in Brighton. 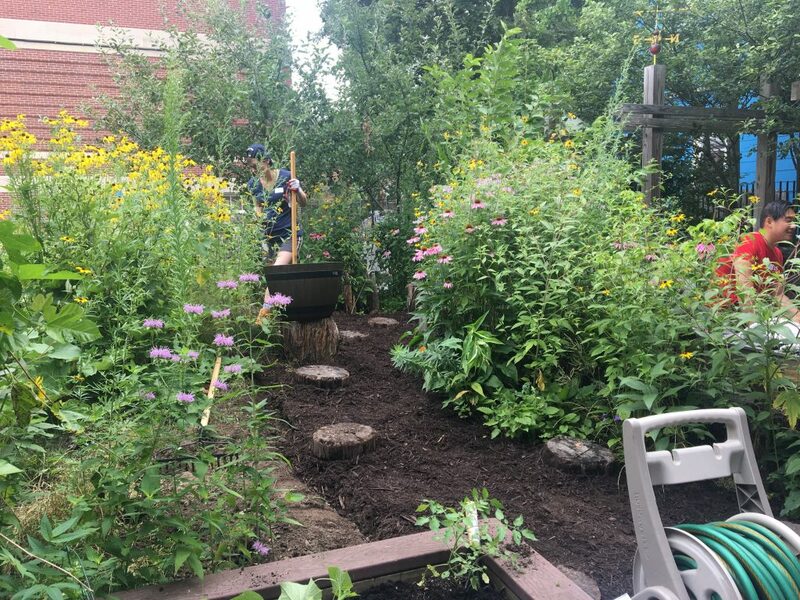 Volunteers helped build and design a garden that will be used as an “outdoor classroom” with focus on hands on connection to the food cycle, sustainable agriculture and natural environment. 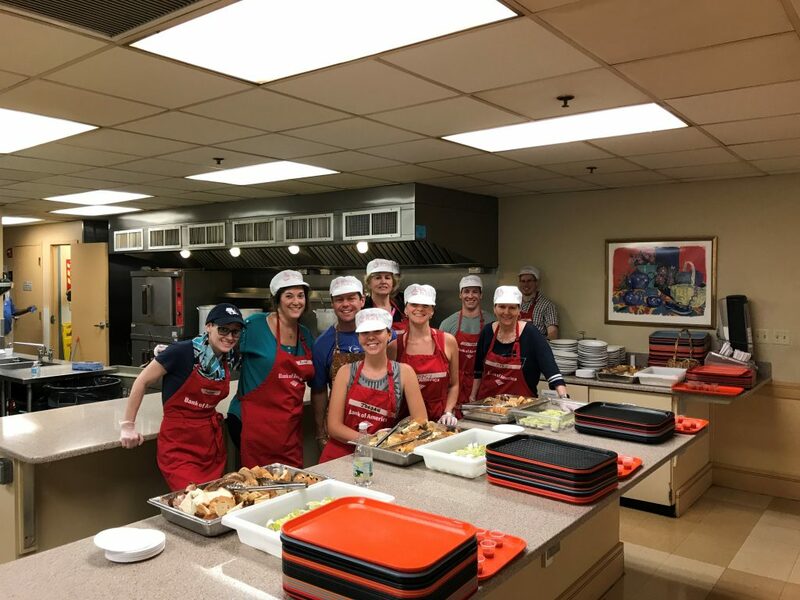 June 2017 – STAG helped to prepare and served lunch to over 150 women and children at Rosie’s Place, a homeless shelter located in Boston, MA. 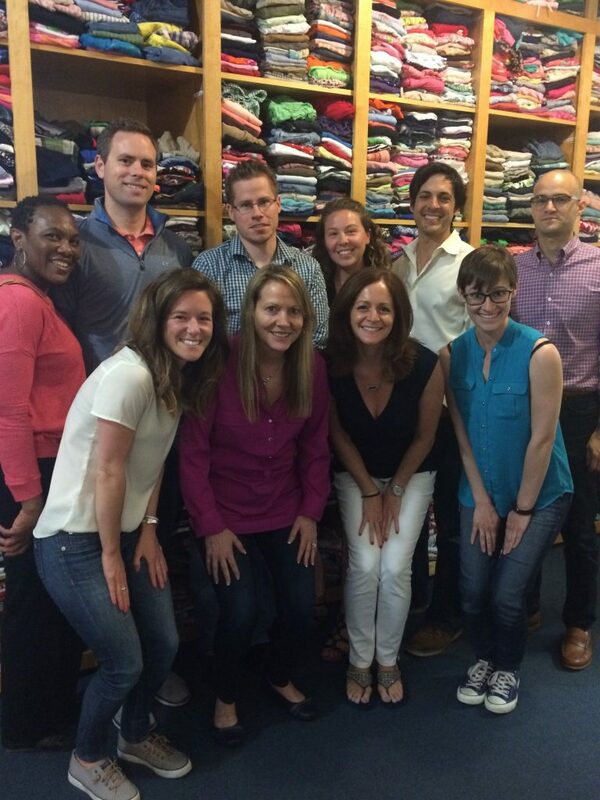 June 1st, 2017 – volunteers from STAG helped to sort over 2,200 items of clothing for Room to Grow, at their Back Bay headquarters. 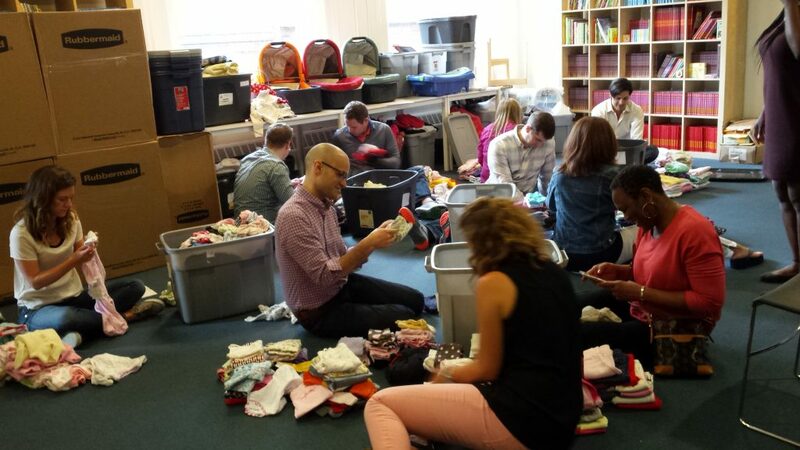 “STAG’s participation has directly impacted the success of the organization and we look forward to continuing our partnership in order to truly help vulnerable babies thrive.” – Patricia, Inventory and Volunteer Coordinator, Room to Grow. 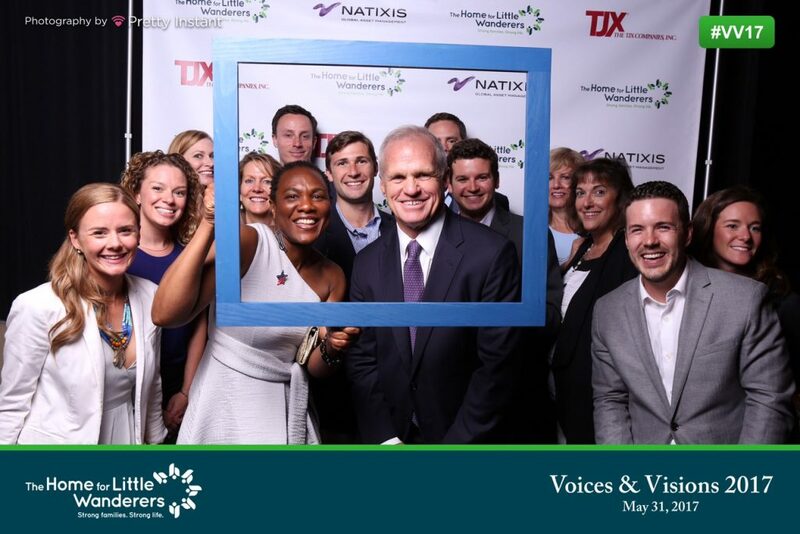 May 31st, 2017 – STAG employees volunteered at and attended The Home for Little Wanderers, Voices and Vision Gala: ‘If Tomorrow Could Talk’. 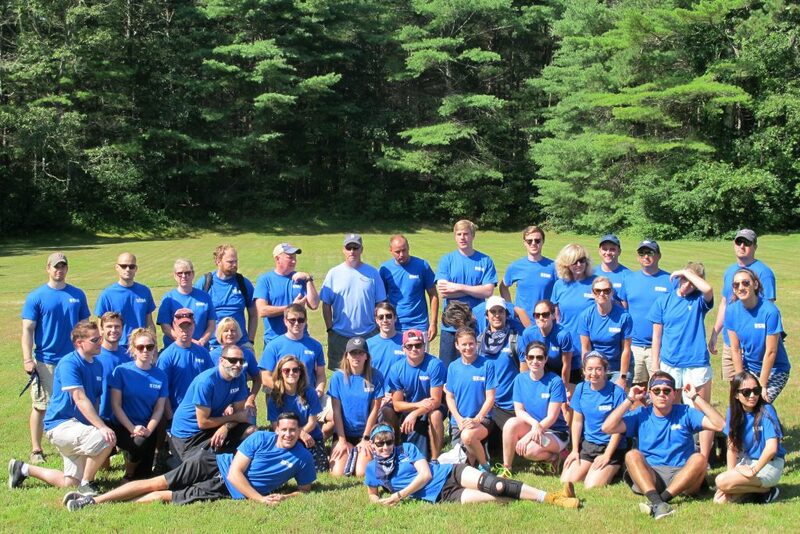 Ben Butcher, CEO, had the distinguished honor of Co-chairing the event this year. It was a fun-filled event with art work and exhibits made by the children and young adults from ‘The Home’.